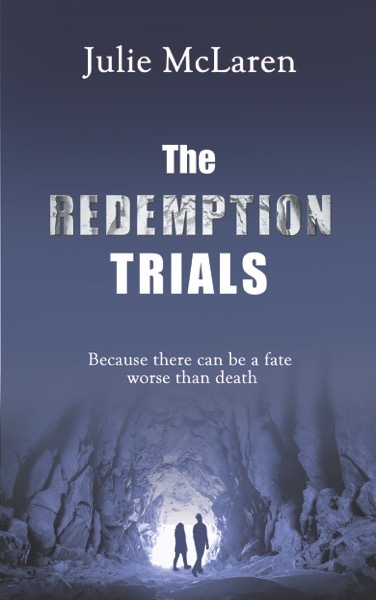 The Redemption Trials is the story of Wayne, an unlikely hero, and his quest to find justice for Lottie. She is a girl who is thrown into his protection by mistake, but she is confident and brave to the point of recklessness and he finds himself in situations he could only have dreamed of before they met. The book is a fantasy, but there are no dragons or vampires in my story, only people. It is the setting that is beyond reality, as Wayne is an admissions clerk in Hell. I first started this novel about thirteen years ago and have returned to it from time to time in the intervening period. I knew how I wanted it to end and roughly what would happen in the middle, but I worried that it would be too short for a novel so it remained on my computer, about twenty-five thousand words. However, I couldn’t seem to forget the characters and their dilemma and I often thought of odd scenes that might work without ever writing them. Then along came self-publishing and I didn’t have to worry about word count. There would be no agent or publisher to reject my story on the grounds that it was too short. I decided to write it anyway, and if it ended up as a novella, or something in between, it wouldn’t matter as long as I was honest with the reader. Once I had started, it was as if I had never stopped. I had no problem re-engaging with the characters and the word count ended up at slightly over 75,000 words anyway. The only real problem was the change in my style of writing over the years, and that meant a lot of revision of the early chapters, but even that was relatively straightforward. It was published on July 7th 2016. Wayne’s job in the Admissions section of Hell is boring but it suits him fine. That’s until he makes a mistake with Lottie’s location code and finds himself caught up in her quest for justice. An exploratory trip to another sector turns into an epic and dangerous journey, but nothing in Hell is what it seems. Can Wayne find justice for Lottie? Wayne is at his desk at the admissions hall to Hell. Lottie enters and Wayne’s life – or neverending death – is not the same again. While he tries to get her to a better place, preferably not here, he finds out that it’s not just her that’s in the wrong place, but many others. But Wayne doesn’t car about them as he’s maybe falling in love a little. I expected this to be a bit more zany from the description, but it was more of a gentle road trip story. The humour is subtle and I quickly grew to like Wayne’s un-heroicness. He wants to do good by Lottie, but is a bit of a wuss. I enjoyed this story as it was a little different to most things I’ve read.